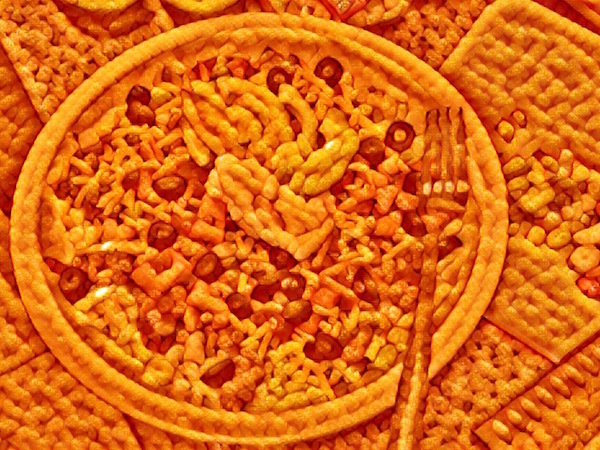 Trying New Things Week: Cheetos Everywhere! | Keep It Up, David! Trying New Things Week: Cheetos Everywhere! I’ve sharing new things all week long, and I’m going to finish up with some silliness. 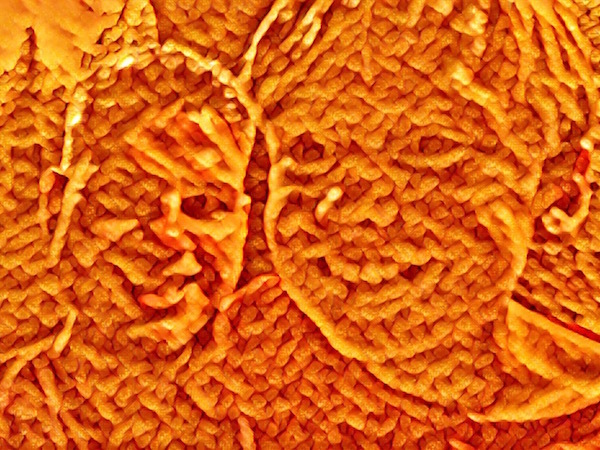 It’s my new favorite app, and it allows you to see the whole world in a new way: where everything is made of Cheetos! I’m not joking. The app is called CheetosVision, and you should download it immediately from wherever you download apps. I’ve talked and joked about Cheetos many times on this blog, and truth be told, they’re one of my favorite junk foods, and by far my favorite thing in the chips aisle. 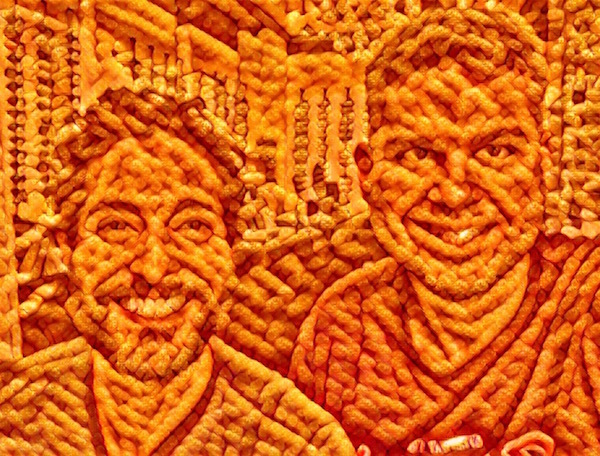 Silly as it sounds, this app provides a dumb way for me to enjoy Cheetos without adding hundreds of extra calories to my day. That nonfat, plain Greek yogurt was a swap for sour cream, and it’s barely noticeable when you eat it. The yogurt has 1/3 the calories of sour cream, 1/2 the carbs, and 1/10 the fat, so it’s a great swap! No tortilla chips or taco salad shell. A cup of tortilla chips is around 300 calories, and those shells, which are often deep-fried when you order them at restaurants, could easily be 400 calories or more. I mixed about 1.5 cups of diced butternut squash into the turkey while I was browning it. Bulking up meat with vegetables cuts down the calories per serving. The taco seasoning masks the squash and I forgot it was even there. So there you have it. 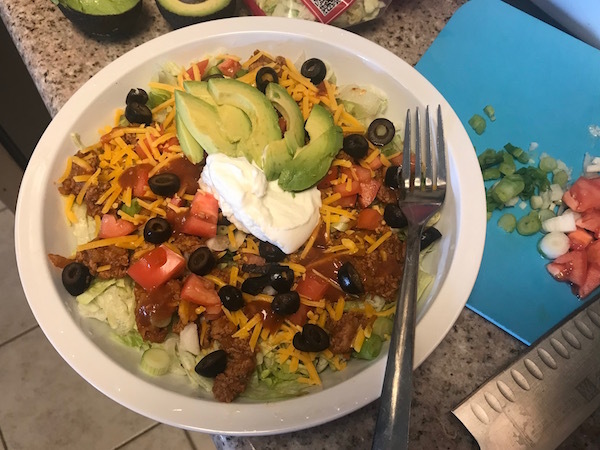 Go enjoy CheetosVision – and what the heck, enjoy a taco salad too! This entry was posted on Friday, August 10th, 2018 at 10:32 am and is filed under Uncategorized. You can follow any responses to this entry through the RSS 2.0 feed. You can leave a response, or trackback from your own site.